Greece. What does the word conjure up? The desperate human migrant exodus from Syria? Money – bailouts, default, IMF etc.? Both of these have dominated recent news about the country. But, beyond these, there are more enduring qualities that soon come to mind – the light, the heat, the sea, the hospitality, the ouzo. Everyone loves the time they spend in Greece, whether for the wildlife, the weather, the history or just sunbathing on the beach. Behind many beaches, however, just a few yards inland, there’s often a very different activity going on. The silent slaughter of songbirds. Thousands of mist-nets and limesticks bring a slow death to Robins, Blackcaps, thrushes, Cuckoos – anything that’s passing – often lured by tapes of birdsong, suggesting a safe haven. Despite being banned, illegal bird killing is taking place at quite extraordinary and unsustainable levels. While many in authority turn a blind eye, an estimated 25 million birds are being illegally massacred annually around the Mediterranean. 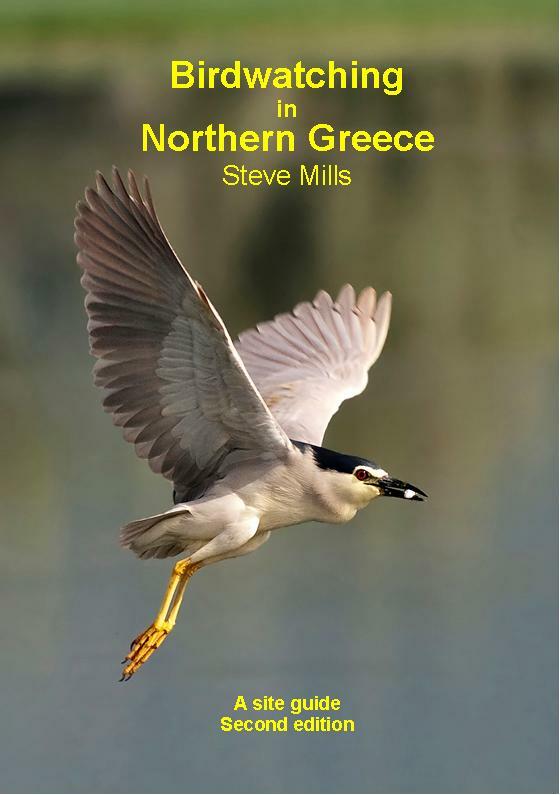 Sadly, it is estimated that over a million birds are killed in Greece each year. To add to this, tens of thousands of birds – Goldfinches are especially prized – are caught and sold in markets all over the country to become cagebirds. Even more openly, wild birds are sold in pet shops in Athens. And now, as Spring arrives, those migrants that have survived the journey to Africa and are on their way back to Europe to breed are next in line. These are the survivors, the strong birds essential to maintaining the population, but throughout the Ionian islands – Corfu, Zakynthos etc. the first bird calls of spring aren’t just uplifting they are a call to put on the camouflage and get outside with a gun. Spring hunting, because of its damaging effect on future bird numbers, has been banned since 1979. So what happens? Hundreds of hunters in camo outfits, putting a resounding two fingers up at the law, are out shooting at anything within range. It may be illegal but there’s virtually no law enforcement. 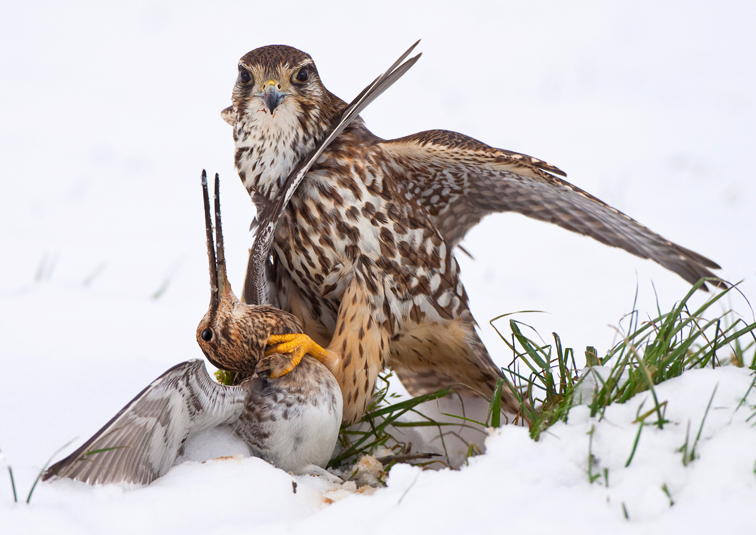 Just look at what the wildlife hospitals receive – harriers, eagles, Ospreys, herons, you name it. And it’s all defended in the name of tradition – ‘We’ve always done this’, ‘It’s part of our heritage’ etc, etc. Well, tradition is thin justification. It’s the last resort for those who know something is wrong but can’t find any other way of defending it. Burning witches and sleeping in caves were traditional but we don’t do them now. So, this has to stop. In the long term, education has a large role to play but birds are being killed now, today, as you read this. Pressure has to be brought to bear in the here and now on the authorities to enforce the law. The Champions of the Flyway campaign is a Birdlife project targeting the illegal killing of migratory birds travelling between Europe and Africa. Each year one country is the focus. This year that focus is Greece. It is our chance to help lessen the impact of the killing fields of Greece on our migrant birds. Steve is a founder of Birdwing.eu who are sponsoring the Birdlife Greece Racers Team.